Naltrexone (or ‘blocker’) is a narcotic antagonist; it blocks the effects of heroin (and all other opiates like methadone, subutex, substitol...) by blocking the opiate receptors within the brain. Naltrexone is extremely effective in blocking opiates. It works by binding to some of the drug receptors in one’s brain, preventing opiates from attaching. If opiates are taken, they simply will have no effect and therefore are a waste of money. Except for that, there is a risk of heroin overdoses along with an absence of having chemical pleasure (getting high). Is Naltrexone implant better than Naltrexone tablets? In other words Naltrexone blocks opioids from acting on the brain, so it takes away the reward of getting high on the problem drug. This feature makes Naltrexone a good choice for preventing relapse (falling back into problem drug use). Naltrexone may be a good choice if you are completely past withdrawal and highly motivated to stay in recovery. It also may be recommended if you are in an early stage of opioid addiction. Beginning with Naltrexone pills as a relapse prevention is only possible after a high quality detoxification. After the detox is finished, the patient is tested to opiate drugs otherwise, the withdrawal symptoms might begin. A patient must be at least 7 days without heroin to eliminate the risk of withdrawals. There must not be opioids in ones body before starting Naltrexone. Otherwise, withdrawal will be extra strong. Invented in the late 60-ees, Naltrexone is being implemented for more than 40 years in clinical practice. 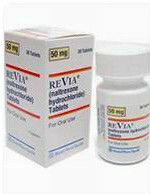 It is studied and tested thoroughly by FDA for the treatment of drugs and alcohol addictions. Naltrexone in 50mg tablets or pills for oral reception is issued under the trading name Revia, Nalorex, Antaxon, Depade and others. One capsule of Naltrexone blocks access to opiate receptors for not less than 24h, sometimes up to 72h. After a short while, a patient might start feeling strong enough to be able to stay clean without taking the Naltrexone pills. They might leave home without their stock of medication. They might forget taking the medicine. At the end, they might change their mind and refuse to take the pills. Soon after that, relapse happens in the majority of cases. A person is forced to make a decision (consciously or subconsciously) on daily bases whether or not to take Nalorex, Revia or other Naltrexone medicine, whether or not to take heroin instead. This constant internal struggle of motives depends on the mood swings. What will happen tomorrow? For guaranteed regular reception of Naltrexone a long and intense control by relatives is required. As a result - mistrust, insults of the patient, new conflicts, suspicions. In fact, everyone in the family gets tired of struggling and conflicts during the long period of drugs habit. A patient from the UK must go trough the councilor and specific process to be able to have the Naltrexone pills prescribed by his GP. Naltrexone pills are not available in Ireland.